Glen Villa Resort is a quiet, green oasis, catering for couples and mature groups. Come and relax, watch the clouds go by, and laze by the beautiful salt water pool and spa. 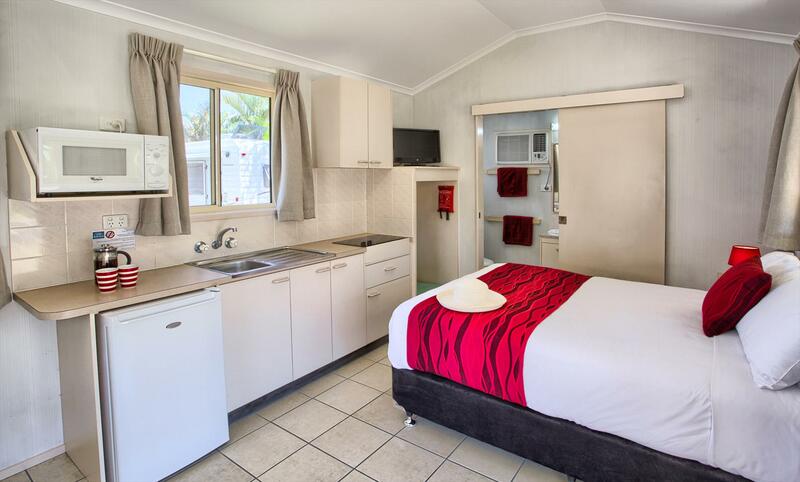 We are perfectly located just 400 meters from the lively main street. 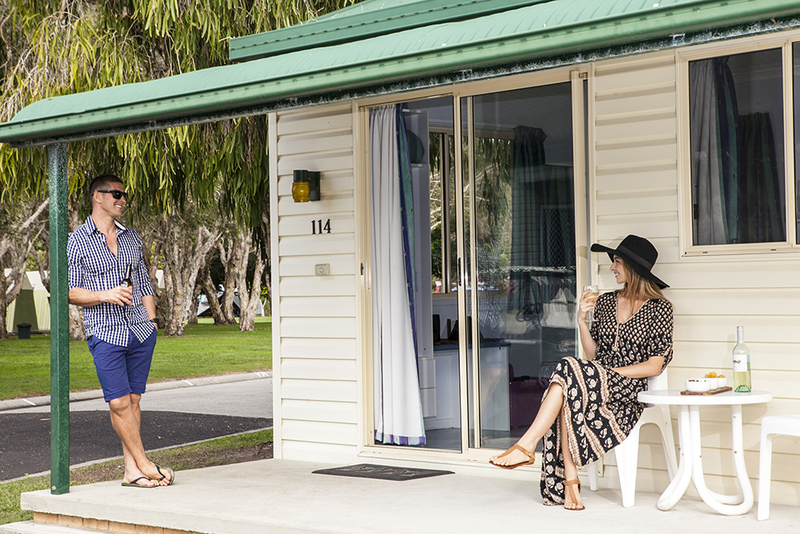 With only 2 minutes walk to town; you will have all of Byron Bay's restaurants, cafes and shops at your fingertips! Mingle with the rest of the world as you experience the nightlife that has made Byron Bay famous. 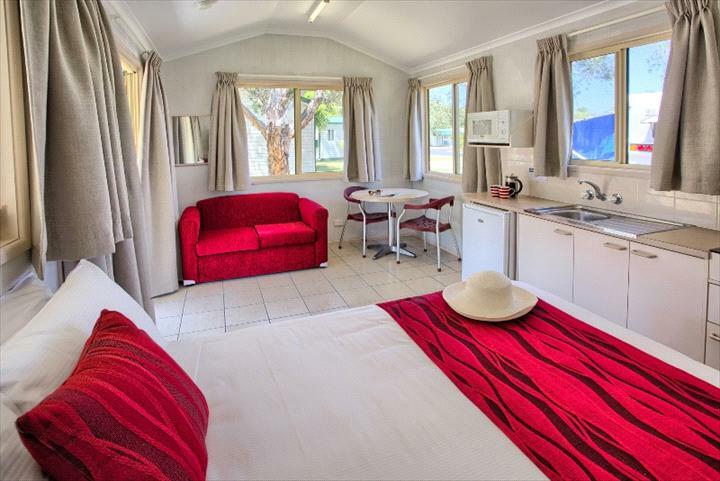 Glen Villa Resort boasts 40 deluxe fully self contained cabins. 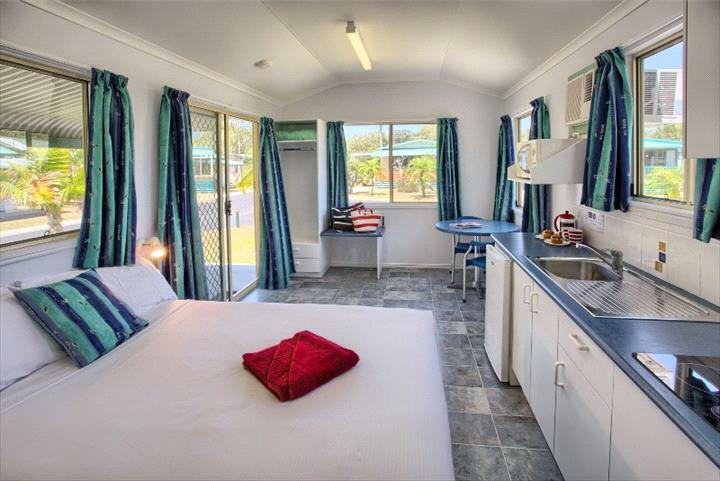 Each cabin has its own ensuite, air conditioning, TV, tea, coffee and cooking facilities, linen and towels. 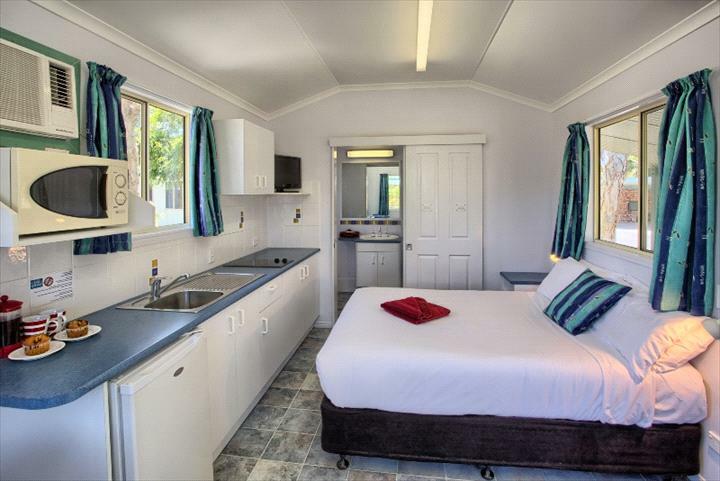 We also offer luxurious spa cabins for that romantic interlude. PLEASE NOTE: ALL CABINS CATER FOR A MAXIMUM OF 2 PERSONS. MAXIMUM OF 2 ADULTS OR 1 ADULT AND 1 CHILD. CABINS CANNOT EXCEED 2 GUESTS IN TOTAL. 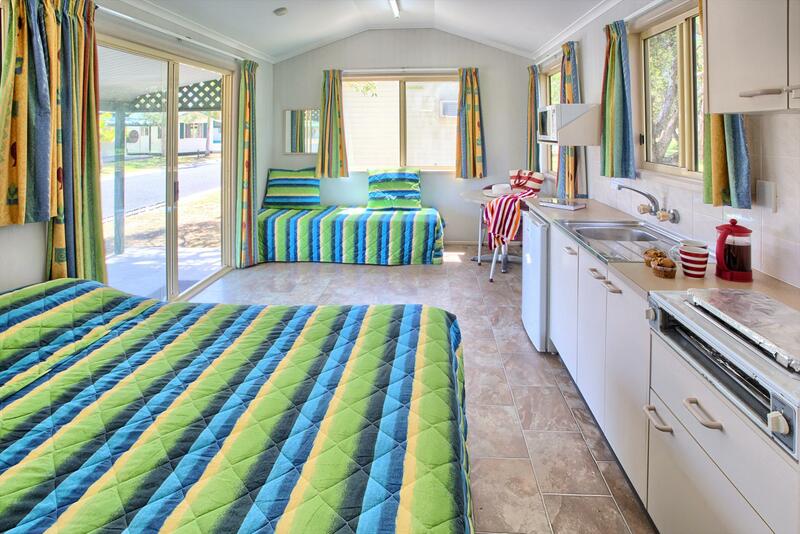 Within the complex, also find for your convenience, WiFi access (conditions apply), saltwater pool with spa, BBQs and a campers kitchen and laundry. So, all you need to bring is your smile. 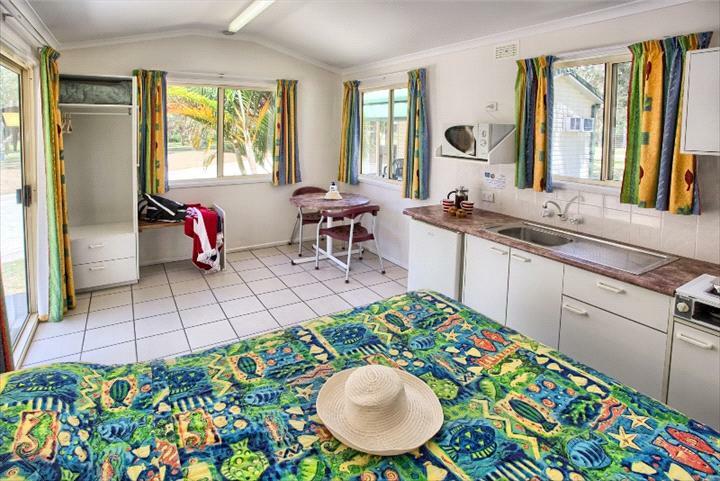 Over the railway line from Byron Bay town centre, turn left into Butler St.
Deluxe fully self-contained cabin consists of double bed, ensuite, air-conditioning, TV, cooking facilities, linen and towels. 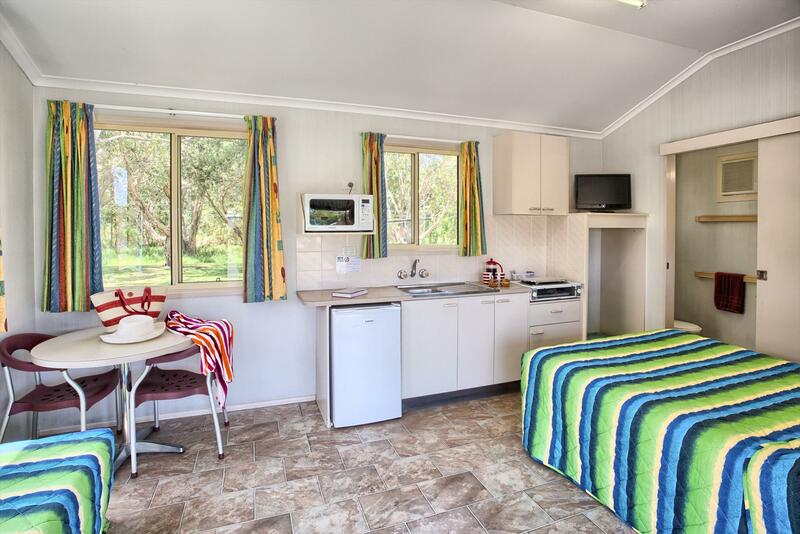 Each cabin has own patio and grassed area. MAXIMUM 2 GUESTS PER CABIN. A CHILD/BABY OF ANY AGE IS CONSIDERED 1 GUEST. Sorry we do not except schoolies bookings. Our Spa Cabin consists of double bed, ensuite with spa bath, air-conditioning, TV, cooking facilities, linen and towels. 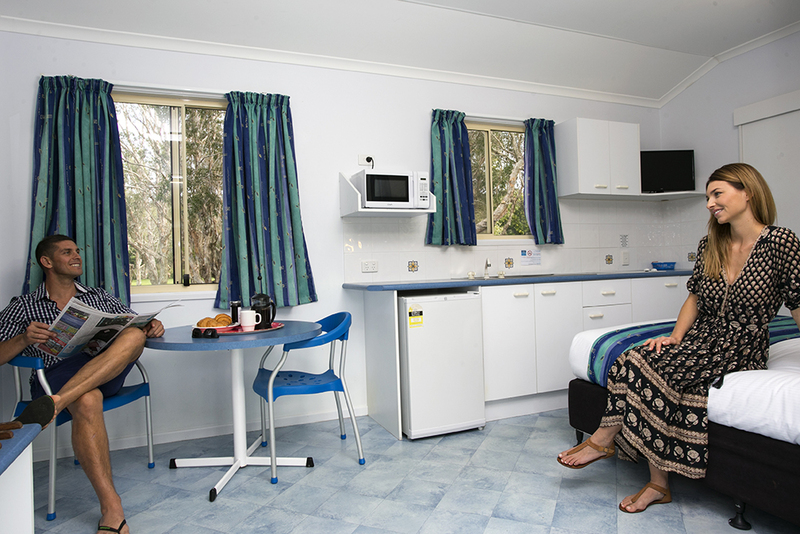 Each cabin has own patio and grassed area. 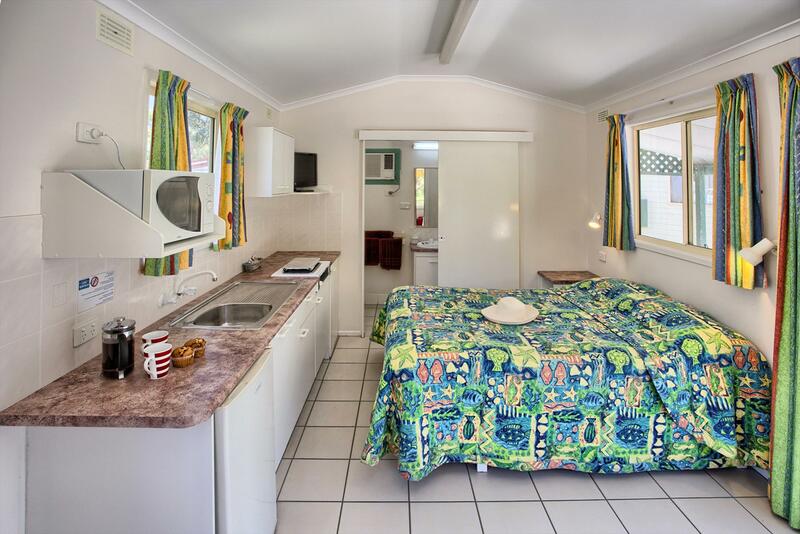 MAXIMUM 2 GUESTS PER CABIN. A CHILD/BABY OF ANY AGE IS CONSIDERED 1 GUEST. Sorry we do not except schoolies bookings.